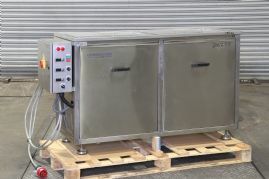 Kerry ( Guyson International ) Microclean multistage precision ultrasonic cleaning line. 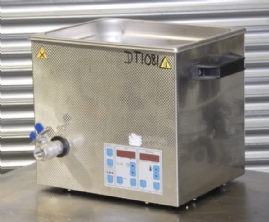 The Wheelabrator 2 Stage Ultrasonic cleaner incorporates patented high efficiency UK manufactured ultrasonic generators and transducers. 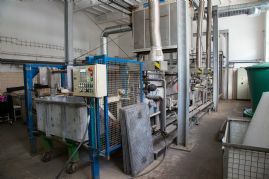 Layton Bluestream Aqueous Metal Degreasing plant. 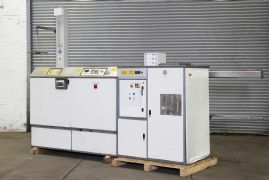 Single chamber machine using a combination of immersion + USC, spray and ultrasonic agitation + vacuum drying. 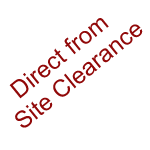 Suitable for stainless steel, aluminium, brass, bronze and plastic base material. 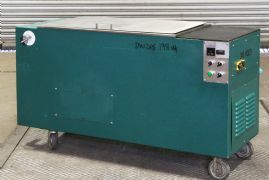 From automotive parts and filling valves to medical instruments and 3D parts, ultrasonic cleaning system make precision cleaning safer, less costly and more effective. 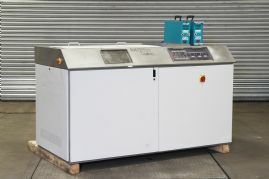 The Ultraclean 4 four stage self contained cleaning system delivers high precision cleaning across a broad spectrum of industries. A Kerry Compact 450M K2 With Auto Trans MK3 Robotic Handler with single dryer, retrofitted 450 PLC / HMI Touch screen with a vertical agitation feature. 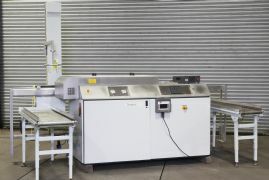 Guyson International multi stage Ultrasonic cleaning system offers a rapid and highly effective method of precision cleaning components to a very high standard. 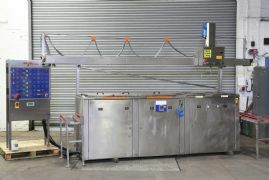 The system comprises both water based and solvent systems in one common frame, allowing the best of both cleaning processes to be conducted in a single footprint. 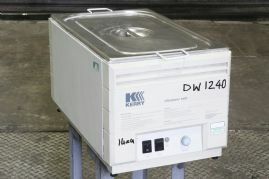 Guyson's Kerry model KC22 ultrasonic cleaners provide safe, fast and effective ultrasonic cleaning in a fraction of the time required by hand cleaning. 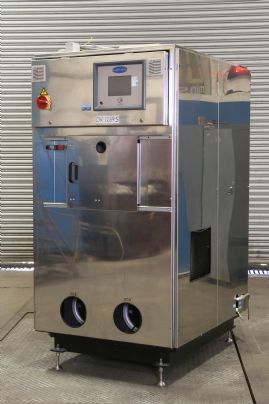 This Special Sonar 500/6 all stainless steel aqueous cleaning system (heated ultrasonic clean, rinse, rinse, warm air dry) suits a wide range of cleaning needs in aerospace, precision, electronics and other industries. 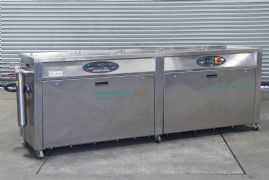 The "IN" Series combines the highest quality design with advanced variable output technology for excellent ultrasonic cleaning performance. 300 x 235 x 150 mm 10 ltr capacity. 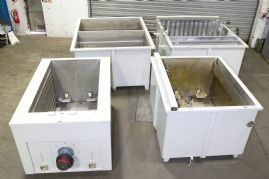 Here we have a collection of matching tanks stainless steel acquired from an Aerospace engine manufacturers site. The tanks were originally used for the component cleaning of aircraft engine components prior to assembly. 5 stage, wash, rinse and dry.